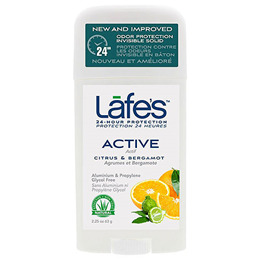 Lafe`s natural deodorant in a convenient twist-stick features a smooth glide and 24-hour odour fighting performance. 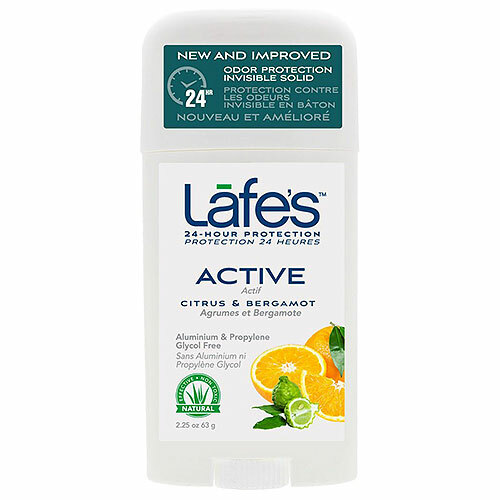 Lafe`s active deodorant is made to withstand even the most stressful, on-the-go lifestyles, using natural botanical essential oils to fight odour-causing bacteria without the use of harmful chemicals. Lafe`s natural deodorant has been recognised for its effectiveness and use of natural, organic ingredients that keep you fresh and dry the natural way. Below are reviews of Lafe`s Twist Stick Active Deodorant - 63g by bodykind customers. If you have tried this product we'd love to hear what you think so please leave a review. One of the few non-paraben, non-aluminium containing deodorants which actually works! Hunted it out after breast cancer treatment made me wary of deodorants with these ingredients. Its great and any of the Lafe's deodorants seem to work well.